In 1954, Clyde J. Haney not only had a vision for a Bible College to train young men and women for ministry, but he also had a burden to start a grade school for his church and the surrounding local churches. During this time, students were dealing with secularism that began to flood the public schools of our nation because of rulings from judges that took daily prayer and the Bible away from our students. He was also very concerned with the indoctrination of evolution, which at this time was being pushed by the public educational system. He knew the time had come to provide a safe haven for the students whom God had placed under his care so that they could pursue academics in a Christian atmosphere. Clyde J. Haney had good relationships with local pastors who also shared the same concerns, but lacked the resources to provide a Christian environment for their own children to study. These pastors were able to send their students to this school. It was not always easy, Pastor Clyde J. Haney and members of the First Pentecostal Church of Stockton (now CLC) made great sacrifices to see that their children were able to study and graduate from a school with a Christian environment. 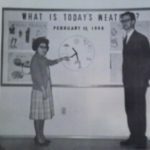 There have been many difficult times throughout the past, but 58 years later, Christian Life Center is still committed to upholding a grade school with a standard of excellence and with a godly atmosphere within a nation, which for the most part, is out of control with hostilities toward Christ. Today, Clyde J. Haney’s legacy of providing a Christian education for students remains strong at Stockton Christian Academy. We continue to support academic and spiritual excellence in a safe and respectful environment. Our academy remains dedicated to partnering with parents and students to ensure their personal success through a Bible-based curriculum on-site or in our home school program.